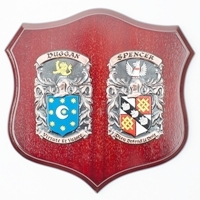 Plaques to record and commemorate a family legacy like a Coat of Arms or a Military Achievement. 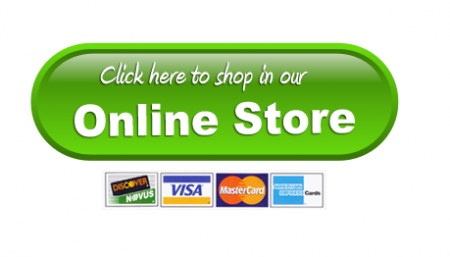 Browse a unique selection of plaques online. 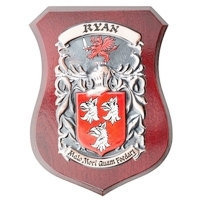 To create the ideal plaque, you’ve got to consider some obvious elements of the career of the individual you are creating the plaque for, like did they have a military career or perhaps the family has an ancestral Coat of Arms. Most of this information can be garnered by subtle inquisitions from friends and extended family. Plaques can come in many different forms. 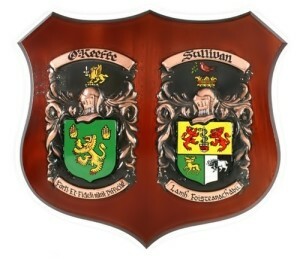 such as a hand-painted plaque, and embroidered Coat of Arms plaque and the very latest silk screen printed plaque. The coat varies from the low range of $95.00 up to $899.oo, but just like anything quality is always related to the price. The old saying “you get what you pay for” comes to mind immediately. I would suggest you at least budget for around the $300 dollar mark. 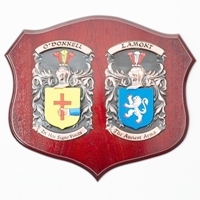 For many people the purchase or creation of a family crest plaque begins a new chapter in the family history. These plaques can create a new surge and interest in the origins of the family. Mothers and fathers feel it’s a great way to create a family heirloom. 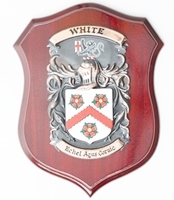 There are many other items in the heraldic range that will compliment the family crest plaque. Histories are created in a scroll format that will display important dates relating to the family journey through the decades. So of the interesting facts that can also be seen, is the relative trail, and who we may be related to. For families residing in the United States and Australia, there is a certain belief that they would have come from Europe. Some would have emigrated by their own accord while many others were forced to leave because of war or economic reasons. What ever the reason it’s wonderful for children to know some of these facts. Keep the family history alive and pass it on.